As a follow up to the Timely Warning issued March 14, 2017 about an alleged assault that occurred behind the Roaring Fork Dining Facility, an extensive investigation that included video evidence and interviews revealed the incident did not occur as originally reported by the student. The incident did not happen on campus. The incident did not involve an unknown person to the student. There is no threat to the campus community as it relates to this incident. The UCCS Police Department would like to thank the community members who responded with information relevant to this case. In compliance with the “Timely Warning” provisions of the Federal Jeanne Clery Act Disclosure of Campus Security Policy and Campus Crime Statistics Act of 1998, the University of Colorado Colorado Springs Police Department is issuing a notice of potential assault. The UCCS Police Department is actively investigating a crime involving a student who reported being grabbed from behind by an unknown male on March 13, 2017 at approximately 8:50 pm. The student was walking behind the Roaring Fork building at the time of the incident. According to the student the incident ended quickly and the male party ran west into the field behind the Roaring Fork building. No serious physical injury occurred. The student remembers that the unknown male was wearing a grey in color hoodie at the time of the offense. This entry was posted in Uncategorized on March 21, 2017 by tstoeckl. 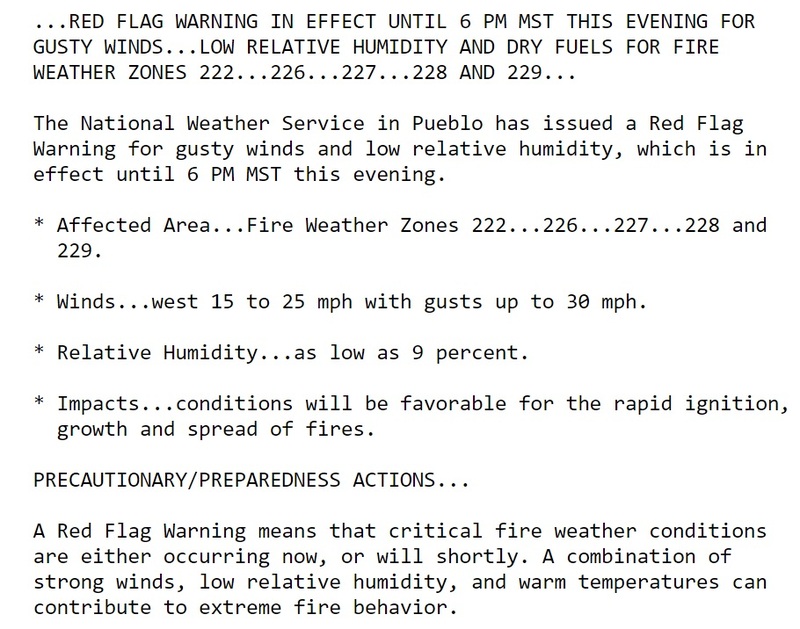 A Red Flag Warning has been issued for increased fire danger for Thursday, March 16, 2017. 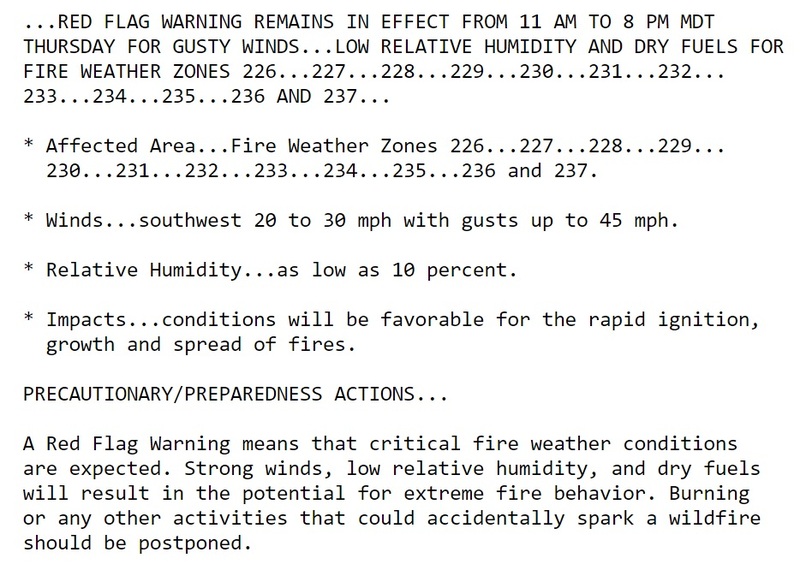 Continue to use extreme caution with any potential ignition sources. This entry was posted in Uncategorized on March 15, 2017 by tstoeckl. This entry was posted in Uncategorized on March 14, 2017 by tstoeckl. 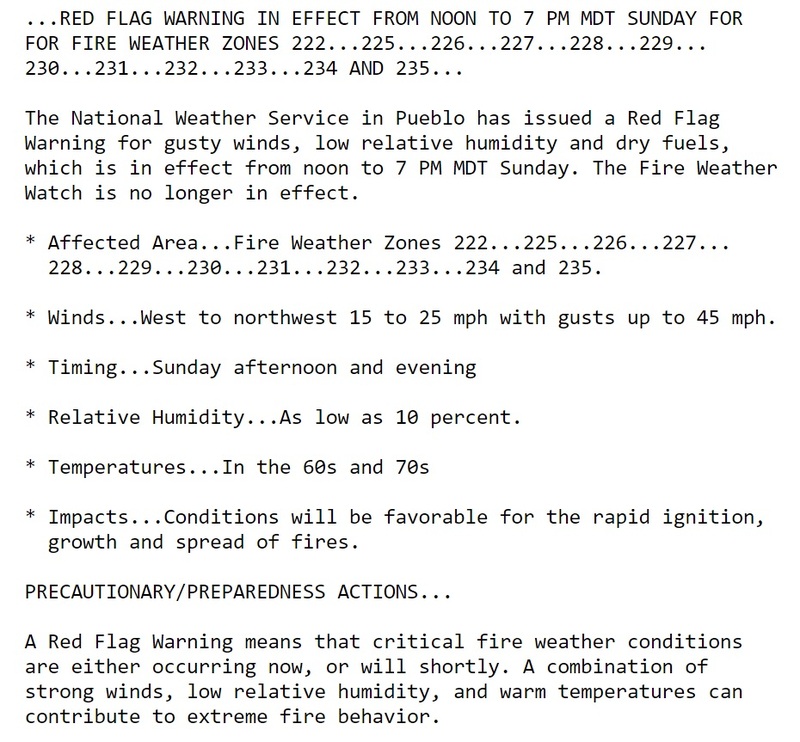 A Red Flag Warning has been issued until 6:00pm today. 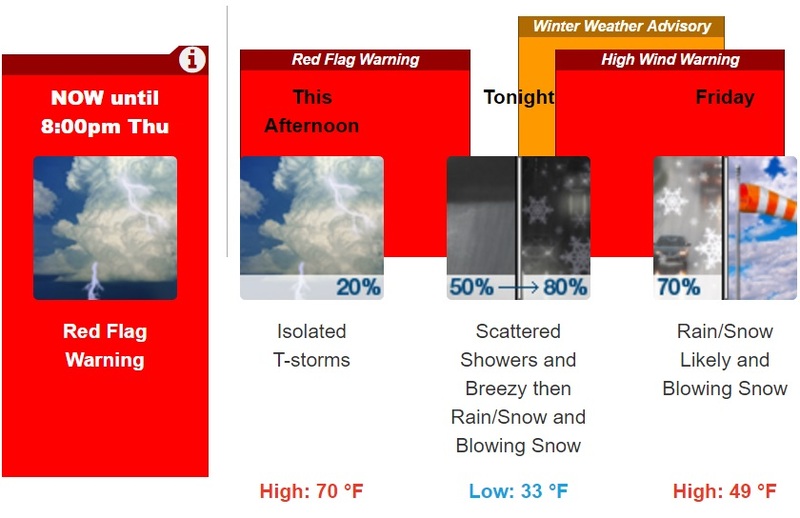 Avoid ALL outdoor burning, responsibly dispose of smoking materials, and report any new fire starts immediately. 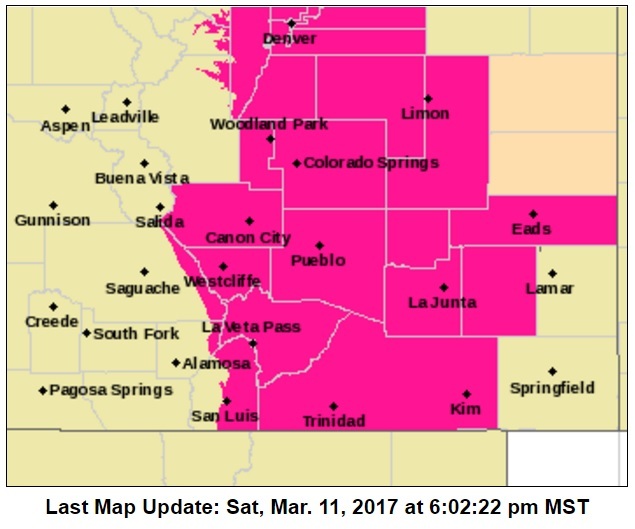 A Red Flag Warning has been issued for Sunday, March 12, 2017 from 12:00pm to 7:00pm. 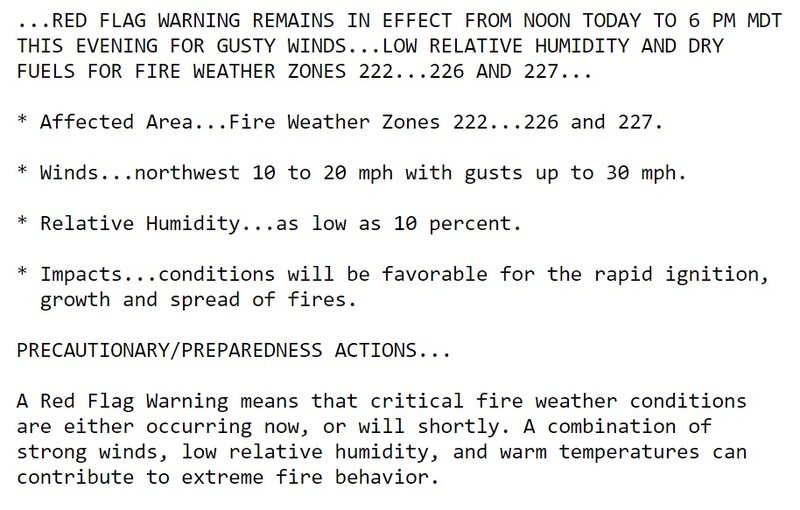 Low humidity and strong winds will lead to increased fire danger across much of the region. Use extreme caution with any potential ignition source, including disposing of smoking materials in appropriate containers. This entry was posted in Uncategorized on March 11, 2017 by tstoeckl. 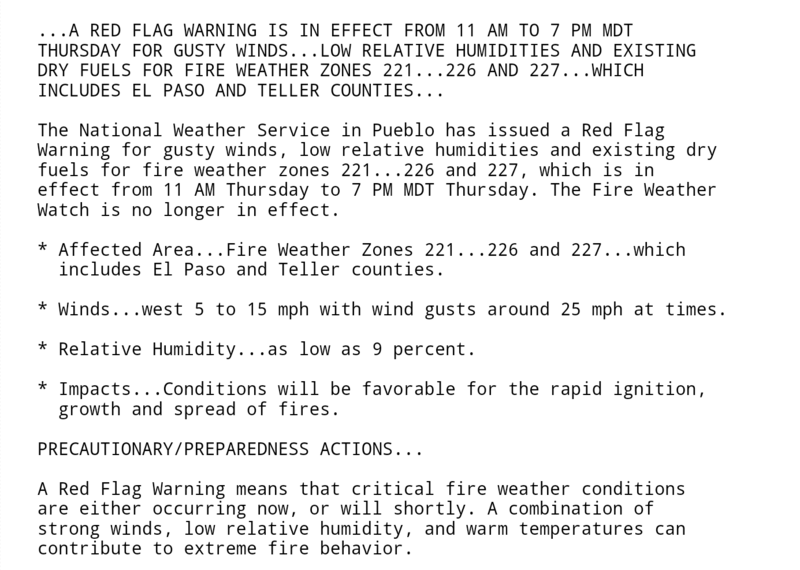 Windy and dry conditions remain today, and therefore NWS Pueblo has issued a Red Flag Warning until 6:00pm. This entry was posted in Uncategorized on March 8, 2017 by tstoeckl.